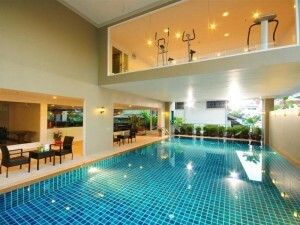 Boss Suites is a clean, comfortable four star hotel on Sukhumvit Soi 4. Rooms are large, sunny and come with free Wi-Fi Internet. The hotel is located on Soi 4 but is quite a long walk from Nana BTS Station, making it better to take a motorcycle or taxi.